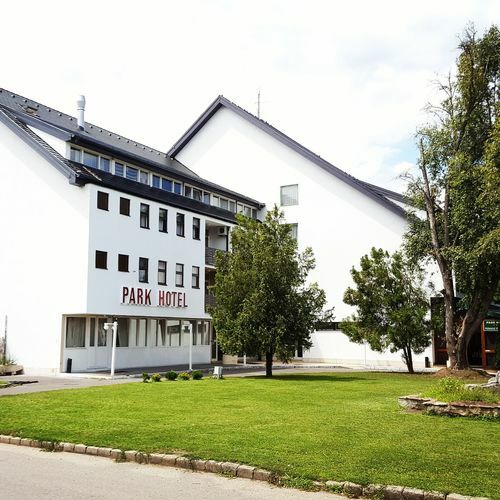 Rooms, services Park Hotel Miskolctapolca is welcoming all guests in Miskolctapolca with 66 comfortable rooms to stay in. The hotel offers chield-friendly services during your stay, would be therefore pleased to host the entire family. You may also take your pet along for your stay, the hotel is prepared for to host it. An additional fee applies to reservations with pets. You may park your vehicle for free in a parking lot available on the spot. Relaxing wellness services will be available to you at the hotel, the details you will find on the information sheet. 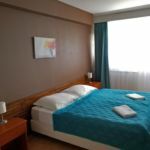 If you choose one of the rooms equipped with air-conditioning, you can rest assured that you will be arriving home to a cool and pleasant room even after an exhaustive and long day (you can make sure on the information sheet of the selected room if it features air-conditioning). In case you'd bring your laptop along, you may go online via wireless Internet connection (WiFi) available at the hotel. To learn more about the exact range of services of Park Hotel Miskolctapolca (including services for an extra fee) and the exact equipment of the rooms, please check the information sheet below and the information sheet of the respective rooms. Location The Cave Bath of Miskolctapolca is located 850 meters away. Catering You will be served delicious and rich breakfast every morning, which is already included in the displayed booking prices. If you'd like to, you can also request half board catering when placing your reservation. Arrival, opening hours The earliest time of check-in is 14:00, the latest time of check-out is 10:00. The personnel can speak English, Hungarian and Russian languages. 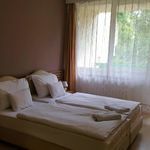 The rating of Park Hotel Miskolctapolca is 8.3 from the maximum 10, 534 based on actual and valid guest ratings and reviews. "Régi az épület, és a szobák berendezése is. Felújításra szorulna." "A hátsó udvar szépen be van rendezve, jól el lehet kinn sörözgetni, beszélgetni nagyobb társasággal is. Van jacuzzi, szauna is. A személyzet kedves, segítőkész. Reggeli kiváló volt." "Jó a konyha, kitűnő személyzet." "Szép környezet, kedves fogadtatás, finom ételekkel vártak!!! és még sorolhatnám."